Getting involved with Seattle Indies! Based on enthusiastic feedback from our latest Town Hall, people are looking for ways to get involved with Seattle Indies. We’ve added a page on our website for just that: Get Involved! For volunteers interested in diving into the behind-the-scenes organization of Seattle Indies, the best way to do so is by joining a committee! A special kudos here should be given to Thomas O’Connor for spearheading this volunteer structure and so much of our community outreach & involvement. Volunteering is a huge time commitment and a whole ton of work, and we want to be very up-front about that. For those brave and intrepid souls who are willing to dive in and stick around – we’ll do our best to hold up our end of the bargain and foster a positive and fulfilling volunteer/work environment, while supporting and nurturing all our awesome organizers. 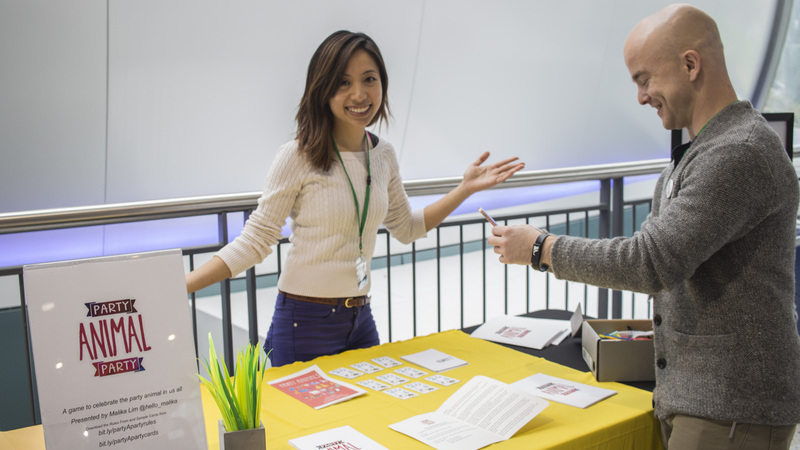 For those who don’t have the time to volunteer on a regular basis but prefer more sporadic opportunities: we’re also taking contact info for people interested in volunteering for general help with events (such as SIX, showcases, gamejams, etc.)! These are usually 1-3 day affairs and occasionally mean cool things like getting into Emerald City ComicCon for free. Sign up here to get an email whenever we need general/event volunteers! We’re looking for someone who’s awesome at forming relationships with press! We’d love for our events and community to start getting more coverage in local channels, as well as in online gaming outlets. We’re looking for someone with experience in managing Twitch/YouTube streams, as well as with A/V experience in recording events, talks, etc, to help possibly kickstart a Seattle Indies channel! We’re looking for someone willing to help cover events & write blog posts for our WordPress site as well as help out with our Facebook/Twitter channels. Some experience with HTML and photo/graphics editing is desired, but we’re willing to teach and mentor if needed. An average of 5 hrs/week of volunteer hours is estimated for these roles, although some weeks may have none, and some may have 10+. If interested, shoot us an email!